You can soften a selection in two ways. The first method is antialiasing, introduced in Chapter 5. Antialiasing is an intelligent and automatic softening algorithm that mimics the appearance of edges you'd expect to see in a sharply focused photograph. Note Where did the term antialias originate? Anytime you try to fit the digital equivalent of a square peg into a round hole — say, by printing a high resolution image to a low resolution printer—the data gets revised during the process. This revised data, called an alias, is frequently inaccurate and undesirable. Antialiasing is the act of revising the data ahead of time, essentially rounding off the square peg so it looks nice as it goes into the hole. According to a reader who spent time at MIT's Architecture Machine Group, "We did the first work with displaying smooth lines. We called the harsh transitions jaggies and the display process dejaggying. Somehow, this easy-to-understand term slid sideways into 'alias' (which it isn't, really, but it's too late to change)." Now you know. When you draw an antialiased selection outline in Photoshop, the program calculates the hard-edged selection at twice its actual size. The program then shrinks the selection in half using bicubic interpolation (described in Chapter 2). The result is a crisp image with no visible jagged edges. The second softening method, feathering, is more dramatic. Feathering gradually dissipates the selection outline, giving it a blurry edge. Photoshop accommodates partially selected pixels; feathering fades the selection both inward and outward from the original edge. You can specify the number of pixels affected either before or after drawing a selection. To feather a selection before you draw it with a marquee or lasso tool, enter a value in the Feather option box, found on the Options bar in Photoshop 6. To feather a selection after drawing it, choose Select ^ Feather or press Ctrl+Alt+D. You also can right-click in the image window and then choose Feather from the pop-up menu that appears next to your cursor. The Feather Radius value determines the approximate distance over which Photoshop fades a selection, measured in pixels in both directions from the original selection outline. 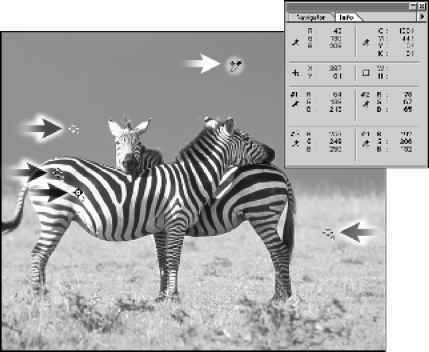 Figure 8-12 shows three selections lifted from the image at the bottom of the figure. The first selection is antialiased only. I feathered the second and third selections, assigning Feather Radius values of 4 and 12, respectively. As you can see, a small feather radius makes a selection appear fuzzy; a larger radius makes it fade into view. 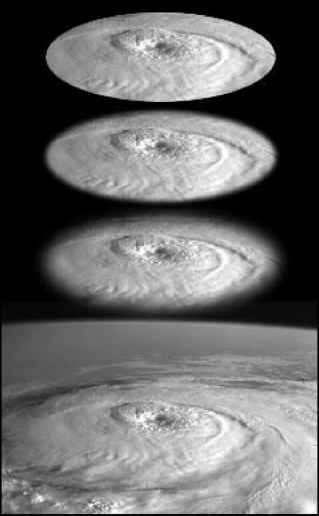 Figure 8-12: Three clones selected with the elliptical marquee tool. The top image is antialiased and not feathered, the next is feathered with a radius of 4 pixels, and the third is feathered with a radius of 12 pixels. How to soften selection outlines photoshop? How to soften outline in photoshop?